Now, I really don’t do too many blogs on movies, and then not so soon after release. I was not familiar with the Manga origins of this movie, and knew nothing about the character or mythos. I happened to see a trailer for it during Aquaman, one of my favorite DC movies along with Wonder Woman. 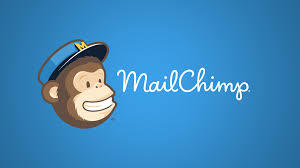 It looked interesting, maybe something I would catch eventually, on Netflix or Blue-ray. Then, last week, I was checking out the movies at AMC, making sure I wasn’t missing any of the upcoming superhero flicks, or maybe a good scifi. The superhero movies have not been as interesting as before, and very little good scifi has been released in the last couple of months. But I saw that Alita was listed, along with three of the trailers. I watched the trailers and was sold. So I ordered up my Imax tickets and went to the show, hoping it would be entertaining. Was it ever. More than entertaining. Mind blowing. I normally try to get writing ideas from movies, and this one filled a basket with them. I have seen a lot of movies, starting with a bunch of flicks when I was a child. The Sand Pebbles, 2001, Thunderball, all of the really bad Beatle movies. I lived for the Friday night horror movies, followed by the Saturday afternoon movies. I estimated the other day that I have seen at least five thousand movies (this doesn’t include all the TV series). Maybe ten thousand. Maybe more. I tend toward the fantastic, scifi, fantasy and horror, along with war movies. That doesn’t mean I won’t watch a romantic comedy, a straight out comedy, a police thriller, but movies about the fantastic are my bread and butter. And this is my new favorite movie. One of the best I have ever seen. I only go to Imax to see spectaculars. I saw the one on Churchhill last year, The Darkest Hour, but that was not a film I needed to see in Imax. Dunkirk was. All of the Marvel and DC movies are. And this one definitely is. I saw it on Thursday, its opening day, and went back to see it on Sunday. In fact, I’m going to see it again this Thursday, the last day it’s in Imax. And when the Blue-ray comes out it’s mine, with an extended edition to follow. Unfortunately, even though thousands of people are trying to promote the movie online, fans, not the studio, the Imax run is almost over. So, what was it about this movie that captivated this sixty-one-year-old movie goer and lover of the fantastic? Great sets, terrific CGI, action sequences as good as any I’ve ever seen. Produced by James Cameron, known for his groundbreaking effects, and directed by Robert Rodriguez (Sin City). Three Academy Award Winners; Christof Waltz, Jennifer Connelly and Mahershali Ali, who all turned in terrific performances. But the show was stolen by Rosa Salizar, who, with the aid of CGI, played the cyborg girl Alita. She made me believe this was a naïve teenage girl who was new to this world, full of wonder and hope, who evolves into the kickass cyborg warrior she really is. A lot of people talked about the big eyes turning them off. To me it added a dimension of charm. Her facial expressions were spot on, and made the character warm, relatable, and realistic. It was not perfect, but it was so damned entertaining, with no boring spots, that I give it a 10 out of a 10. Some minor spoilers ahead: The story revolves around Doc Dyson Ido (Waltz), who finds the head and core of the cyborg in a scrap heap, with a still functioning and preserved adolescent brain. He gives her the body he had built for his deceased daughter, who was the reason he and his wife, Chiren (Connelly) had been thrown out of the skycity of Zalem by Nova (Edward Norton). Alita has no memory of what she is, until she rescues the Doc from a trio of killer cyborgs, and turns out to be a fighting machine like hasn’t been seen on this world in 300 years. There is a love interest, a new body, and a contest of a Rollerball like game in which all of the other players have been paid to kill her. As said before, the action sequences are excellent, but so are the quieter moments, the emotional times between her and Hugo, a young man determined to make it to Zalem, and Doc, her father figure. There are many other cyborgs in the city. Some just people who replaced body parts lost, or for improvements. Other Total Replacements, basically only their head and brain in a robotic body. Some of those are pretty cool, some are nightmares, but all add to the completeness of this world. So, why am I writing this blog? The movie is not doing as good as it should in my opinion. The theater was nearly empty both times I saw it. Maybe because so few people are familiar with the source material, and are unwilling to take a chance on it like I did. Or the panning by critics in Newspapers and Rotten Tomatoes (which has a 93% audience score against 50% by that of critics). Or maybe even the YouTube critiques. Most of those are positive, though not all, but thousands of people are commenting on the negative ones that they don’t agree with the critic. I posted a positive comment on everything I could find on YouTube, Rotten Tomatoes, and IMDB. And the feedback on the positives are a wonder to behold. Thousands of them. Many are echoing my feelings that this is one of the best scifi movies ever. On the Facebook page as well. I want this movie to have a sequel. It might get one, since the worldwide first weekend was about a 143 million, but the US was only 23 million. People need to see this movie, a 200 million production. An aside on critics. I remember years ago when Thor came out, a critic for one of the Chicago papers wrote that Thor was great when he was a fish out of water with no powers, but then they had to ruin it with those stupid super powers. He didn’t get it, and I still think most critics don’t get movies that aren’t mainstream dramas. I say if you liked the Marvel movies, even some of the DC movies, you will be blown away by this one. It was, in my opinion, better than the last couple of Avenger movies, and I loved those. I know I was blown away, and I hope to see the sequel coming out in a couple of years. Trailer from Alita on Youtube. The Hundred Worlds Anthology is out. 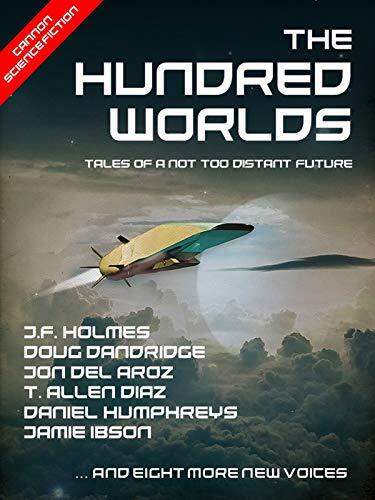 The Hundred Worlds is an ambitious new project combining the talents of thirteen old hands and new writers to tell the tales of a common universe. It can be bought in Amazon.US here, and in Amazon.UK here. It already has nine reviews at Amazon.US, and a five star average (I’ll let you do the math). A couple of years ago at Liberty Con in Chattanooga I was on a veteran’s panel with John Holmes (JF Holmes to those who follow his work). He is a retired Army Sergeant First Class (E7) who served in artillery. As a former grunt I won’t hold that against him. I was asked if I wanted to contribute to an anthology. It would include some well-known indie writers as well as some who were just starting out and needed the exposure. Which is how I found myself involved in this anthology. Together, though most of the work was from our philosophically minded retired platoon sergeant, we developed a dystopian world of the future. The United Nations has gone from bad to worse, and controls the food supply of all the outworld colonies. They have controlled and restricted weapons, and deny the existence of aliens other than the one species that is common knowledge. Obviously invested in the status quo and not wanting anyone to change it. They use brutal methods, up to and including murder, to get rid of dissenters. Of course this has bred the dissent they wanted to avoid, but outright revolt is impossible when all the crops planted are incapable of producing viable seeds, which have to be distributed by the UN on a yearly basis. Toe the line or starve. I was interested, and decided on a story where an ex-UN Marines decides to get back at the Citizens, those who enforce the draconian laws of the United Nations. To do so they use the leverage they gain by having control of many of the families of people who might be rebellious. So the story was titled leverage, as the rebel uses this system to lead some Citizens into a trap on the Terraforming Mars. If you like my other work, I’m sure you will like this one, and the anthology is the only place you will get it. Add to that a bunch of short tales of many other authors, and this is one you don’t want to miss. Fifteen stories for $2.99 on Amazon, a can’t beat it deal. John actually started a publishing company, Cannon Publishing (what else would an old artillery sergeant call it), with the plan of using established authors to help new comers get some traction. I’m all for it, and wish someone had been doing this when I started out. Okay, now to the Author List: Myself (Doug Dandridge), JF Holmes, Jon Del Arroz, James Schardt, Lucas Marcum, James Peters, Sean McCune, Daniel Humphreys, Bart Kemper, J.K. Robinson, T. Allen Diaz, and John M. Olsen. Some you may have heard of, some not, but all are writers you will want to sample and follow on down the road. Next up: I will be discussing my soon to be released novel in the Machine War saga, and will be embarking on a new blog genre, video games. What I like about some of them, what they could have down better. See you then. Exodus: Tales of the Empire: Book 3 is out. And Surviving Michael. I recently released another collection of Exodus stories in the Tales of the Empire Series. Exodus: Tales of the Empire: Book 3: Capitulum is a collection of five stories about the capital of the Empire. It can be found on Amazon.UK here. I have wanted to do this book ever since the release of Beasts of the Frontier. The first two books in this series did very well. Exploration Command sold over 5K books, while Beasts did 4K. To put this into perspective, a lot of anthologies put out by well-known authors, some NYT bestsellers, don’t do as well. So, I started on the title story in this collection two years ago. It fills in a lot of details in the backstory of the Empire, tales I didn’t have the space to include in the novels, which already had too many characters according to some. Capitulum revisits the Yugalyth problem, and the investigation by Capitulum PD Lt/Fleet Intelligence Captain Ishuhi Rykio and his team. In Emigration we look at the attack on the Jewel system and Capitulum through the eyes of a married couple. Prior to the attack, he wants to stay in Capitulum, the safest place in the Empire, while she wants children, something hard to do on reproductive restricted capital planet. Capitulum turns out to not be so safe after all. In Search and Rescue the attack is examined from the perspective of a Customs/Search and Rescue cutter in the twin planet system. In Dead Eyes the master assassin Angel Martinez, the Angel of Death, is given and assignment to take out a member of the Elysium Embassy Staff. And in the process meets up with a man as deadly as he, Cornelius Walborski. And finally, for those who wanted to see a stronger Empress Jennifer, we see her in her role as a physician, facing the deadliest organism ever released in Imperial Space. It’s think on your feet or die for the good doctor. People have asked me why I do these kind of books, and just don’t concentrate on the main Exodus: Empires at War series. I love that series. It was responsible for my ability to become a full-time writer. However, it is difficult to keep a long running series fresh. Sometimes I need more time to come up with ideas. Sometimes the new ideas are popular, sometimes not. Sometimes the motivation is there, sometimes not. I have always said that I could never get writer’s block. This is true, because I have hundreds of ideas, most of which don’t fit into the Empires or War storyline. So I write other things. Sometimes they do well, sometimes not, but I still feel compelled to write them. That will continue on into the future. So, if you want to learn more about the background of the Empire, get this book. $2.99 for 67K words of stories, about the same per word as my novels. The back of my house after the storm. Michael caught me completely off-guard. I came back from the FSU Women’s Soccer match on Sunday, November 7th, to see the news that there was a tropical storm off Yucatan that was predicted to head right for me. It took off at warp speed, throwing fish and dolphins into the air in passage. By Tuesday night it was right on target, and I thought it would go right over Tallahassee. It was predicted to be a Category 2. No big deal. I live in a brick house and have been through many 1s and 2s. Then. Overnight, it was upgraded to a Category 3 and predicted to be a 4 before hitting the coast. And then it was predicted to become a 5, with 150mph winds. Yikes. At least the plot was showing that the eye was not going to pass over my house. Kudos to the National Weather Service for their prediction of timing and path. Not so much for the strength prediction. If I had know that a Category 5 was heading my way I would have thrown the cats in my car and headed to Jacksonville. The only real damage to my house. At most we got 80 mph winds in twenty to thirty second gusts. Not enough to rattle my double paned windows. Enough to make some noise dropping branches on my roof. And definitely enough to drop a monster tree on my back fence, thankfully completely away from the house. It did take out my back fence, my side fence, the power lines, the traffic light on the road behind me, and blocked the road. The trifecta. Power went off at just after 1PM, while I was updating the storm on Facebook and following it on a webpage. Just as the eye was touching the coast. I didn’t get my power back until Sunday afternoon, and cable wasn’t on until Wednesday, on and off until Friday afternoon. It really set me back on a number of projects. I’m finally getting it under control. No way through for a car, but the guy on the bike got through. I was ready for this storm, kind of. After Irma last year turned out to be nothing by the time it got to us, and completely missed the target. I got a generator, plenty of candles, lots of rechargeable devices. Water and food. Didn’t have enough gas for the generator and ended up throwing out everything in my fridge. All of the devices save one didn’t live up to my expectations. And the full gas tank in my car was inaccessible to syphoning. So, I learned, and will be better prepared for the next one. It wasn’t fun living in a cold, dark cave for five days, especially when I had stuff I needed to do. Still, I was much better off than people to the West of me, or those on the coast who lost their entire towns. Another holo popped up, showing a schematic of the robot, large areas blinking red. If it was attacking the robot with so much fury, what was it doing to break out of that room. Its function was clear, get into the population and infect as many people as possible. There could be no end to that. It could infect everyone in the city who didn’t get out in time, then move across the planet, doing the same. If people got off the planet by ship or wormhole, carrying the substance, it could establish itself on other worlds. Jennifer doubted it could destroy the Empire. But if it even damaged several worlds, including Jewel, the heart of the Empire, it could devastate the industrial efforts and moral of the nation. “Get a look at the door before the robot goes down,” she ordered Kellis. The scientist nodded and moved the camera, getting a grainy image of the door. The lens was already under attack, and with the push of a panel Kellis rotated another one from out of the storage compartment and into place. The door that had sealed the room was almost gone, only a few strands left. The contamination tent was also dissolved. While the clamshell door was showing sign of severe damage. Kellis panned the camera, showing that the walls were also in bad shape. A pan up showed that the vent cover was almost gone as well, and soon the contagion would be flooding the ventilation shafts. Most would be swept away by electromagnetic waves into the furnace that filtered the air. No matter how tough this thing was, it couldn’t survive the ten thousand degrees of plasma the air would be swept into. But not all of it would be swept away, and some would eventually get through the ventilation system and out into the hospital. If only we had the warrant officer in one of the isolation rooms lower down, thought the Empress, mentally smacking herself that they hadn’t done so. There they could have flooded the room with all kinds of hard radiation, of even superheated plasma itself. Here, they were helpless. Possibly the Marines could burn it out with their particle beams. She had her doubts. They might be able to spray the room and get most of it, but surely some would get away, attacking them and everyone else on this ward. Jennifer reached over onto Kellis’ board and hit a panel. “You think it’s going to break out?” asked Sean, his face appearing in a holo bubble. Sean didn’t say another word, probably realizing it would do no good, though his eyes continued to plead with her. Finally, he shook his head. “I won’t try to force the issue. This is your area. But please, try to survive. This galaxy will be a cold dark place without you. “Is that wise?” asked an alarmed Jennifer, imagining the contagion getting out in the research laboratories and running amok. Jennifer wondered for a moment why Chan had such a facility, unless it was to investigate bio weapons of her own. The doctor part of her didn’t like that idea, though the Empress part saw how it might be necessary to save Imperial lives. “Do you have all the data you need?” asked Sean, rushing his words, a sign that he was anxious. Jennifer wanted to say that all surprises were unexpected, lest they not be a surprise. Since that would add nothing to the conversation, she kept her mouth shut, something she had learned in medical school. “We’re not going to let it get that mass,” said Sean in a soft voice, trying to calm herself and himself at the same time. Sean was silent, and Jennifer thought about how difficult this must be for him. He already had so much on his plate, and now he had to worry about something out of his area of expertise. “That is not going to happen here,” blurted Sean. Next Up: A series on Adventures in Indie Publishing, as I detail some of the new things I am trying out to increase exposure and sales.